The slow decline of Brighton’s West Pier pales in comparison to the big bang signifying the collapse of what should have been Hove’s greatest monument. The Anthaeum was the brainchild of Henry Philips, a leading botanist of the day. He wanted to build an indoor tropical utopia, perhaps comparable to the recent Eden Project in Cornwall, under a massive glass and iron structure. The domed structure was to be 70ft high with a diameter of 164ft which made it larger than the dome of St. Peter’s in Rome. In fact, it would have been the largest dome in the world at that time. 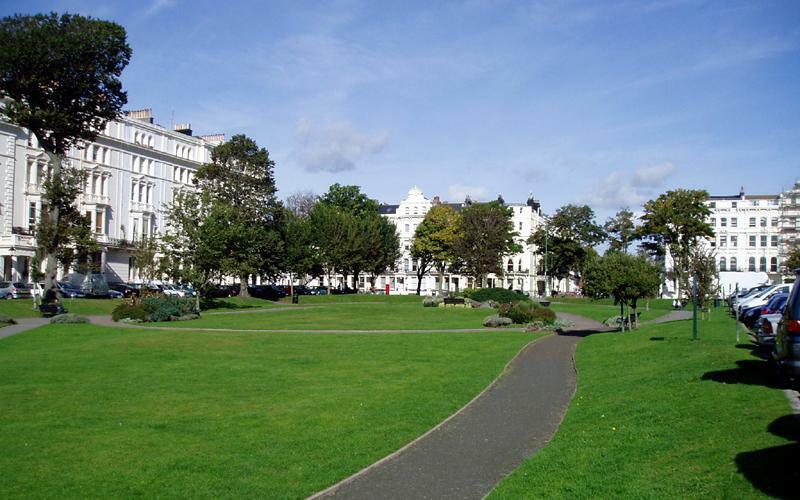 Grade II* Listed Oriental Place in Brighton, designed by Amon Henry Wilds, was originally constructed as the seafront approach to the Anthaeum. Financing problems led to the abandonment of this particular site in 1827. 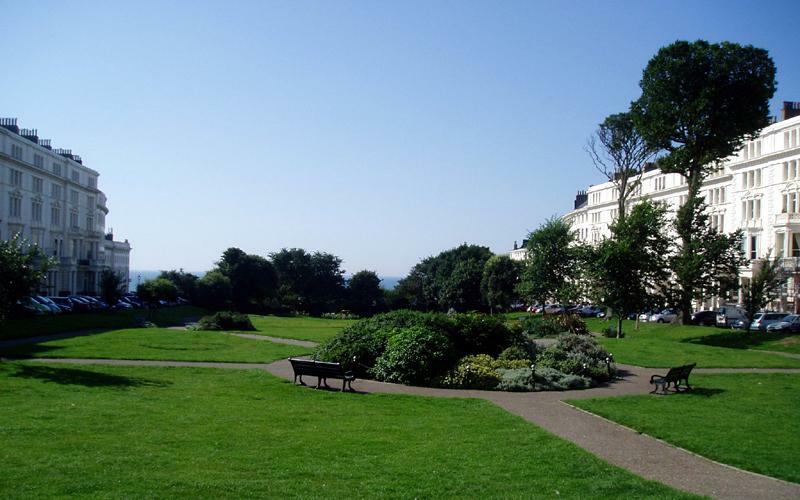 Instead, the dome materialised on land that is today occupied by the gardens of Palmeira Square. Work commenced in 1832 on the impressive brick foundations on plans again prepared by Wilds. At this stage, Adelaide Crescent was still to be a closed arc and only the first (and best) ten houses were under construction. Under the support of scaffolding, the dome grew. The builder, Mr English, believed that the dome did not need any kind of internal bracing. He dismissed ideas from Wilds and the structural engineer, C. Hollis, to build a central column, leading to their departure from the team. On 30th August 1833, the day before the official opening, the metal framework was complete and the internal scaffolding was removed. After an hour or so, an almighty bang led to the entire structure collapsing in seconds. The whole depressing situation led to Henry Philips going blind. Joseph Paxton, the famous architect, visited the site to get ideas for his most important project – the building that came to be known as the Crystal Palace. Originally, the building housed the Great Exhibition of 1851 in Hyde Park – an international demonstration of human achievement dreamt up by Prince Albert. It was quickly disassembled and moved to Sydenham in South London but tragically burnt down in 1936. The proceeds of the exhibition went towards the construction of the Science, Natural History and Victory & Albert Museums and the Royal Albert Hall. For an eyewitness account of these events, most of the charming ladies found on Church Road today will be happy to oblige.